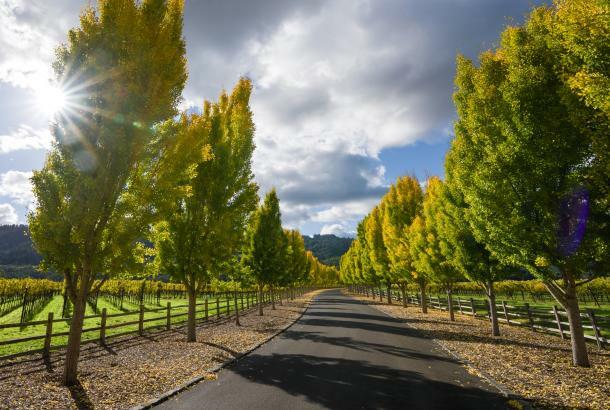 Strolling is sport in the Napa Valley city of Yountville. Because the downtown corridor along Washington Street is about two miles long, because sidewalks abound, the city is eminently walkable, providing the perfect opportunity to get out of the car, stretch some legs, and explore one of the region’s culinary hotspots by foot. With world-class restaurants, high-end boutiques, a diverse sampling of tasting rooms, and other quirky attractions (history museum, anyone? 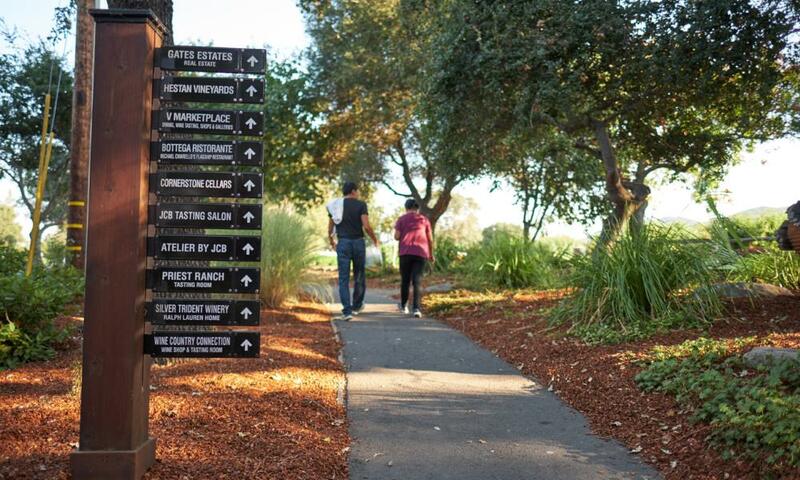 ), Yountville has more than enough options to help wellness-minded visitors log 10,000 steps in a day. 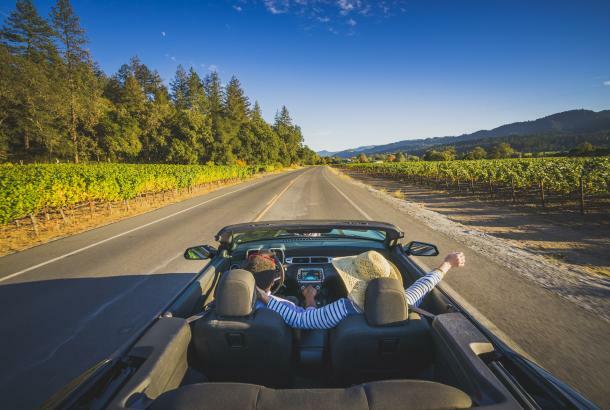 What’s more, if it looks like your step totals might come up short, just hit the Napa Valley Vine Trail to pad your numbers. So fire up those Fitbits and calibrate those health apps. 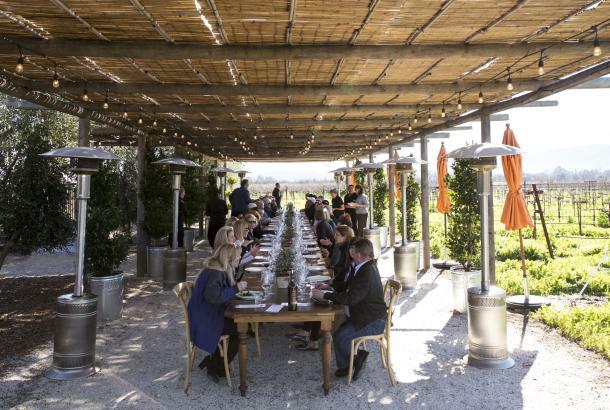 Here, in no particular order, are three suggested itineraries for stepping out for 10,000 paces in Yountville. Start from the south end of town in Veterans Park, where you might spot locals doing Taiichi to start the day. 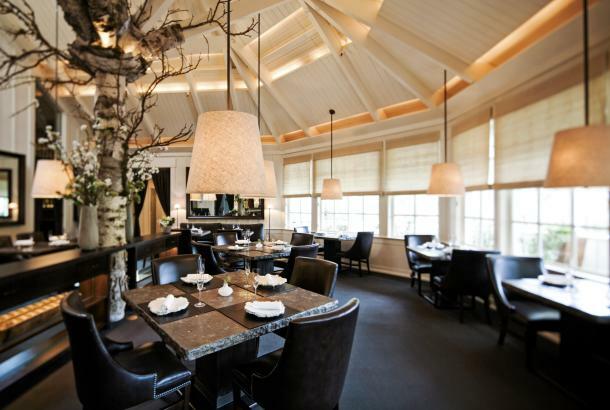 Heading north on Washington, stroll past the Yountville Inn and Thomas Keller’s Ad Hoc restaurant. 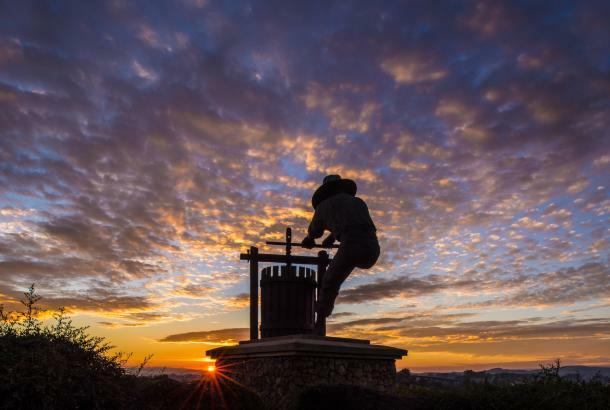 Continue past the Yountville Chamber of Commerce and Welcome Center, which is fronted by a sculpture titled “Open Heart,” by M.L. Duffy. Next, pose for an Instagram pic with “Sidewalk Judge,” another sculpture—this time by J. Seward Johnson Jr. This piece depicts an old-timer sitting on a bench and judging everyone who walks on by (as old-timers are want to do). Sit too long and he might judge you, too. After sipping some French bubbles at the JCB Tasting Salon, swing by Keller’s newest joint, La Calenda, for a cocktail and an order of one of the killer T’s: totopos, tacos, or tamales. Work off lunch by continuing north again, past The French Laundry (and its gardens! ), past the throngs at RH Yountville and up into Yountville Park. The playground here is perfect for young kids, but if you’re traveling solo, channel your inner child and try the monkey bars anyway. No, they won’t add numbers to your step total. But you’ll feel like a fitness animal nevertheless. Consider the west side of Washington Street Yountville’s bridge to the past. Vintners Golf Club, the southernmost attraction on this side, has been around since the late 1800s, and the Veterans home of California, located nearby, dater back to 1884. The Veterans home is particularly spectacular; you can wrack up thousands of steps just wandering around the historic buildings on the grounds. Because the home is open to the public, anyone can explore. Also worth a peek: The Napa Valley Museum, which has three different galleries composed of artwork and other forms of creativity. One of the museum’s strong suits is its collection of Native-American artifacts from the region. If you’re skeptical of how many steps you’ll log in an art museum, don’t be; it’s practically impossible to hit everything in less than 2,500 steps. Beside, the temporary photographic exhibit with pix of Julia and Paul Child (through September 2019) will have you hopping with excitement. Before heading back to town, make time to stop at Domaine Chandon, the first French-owned sparkling wine producer in the Napa Valley. After your tasting in the 1970s concrete building, take your bubbles and stroll the lush gardens. You’ll hit your 10,000 steps before you cross back under Highway 29. 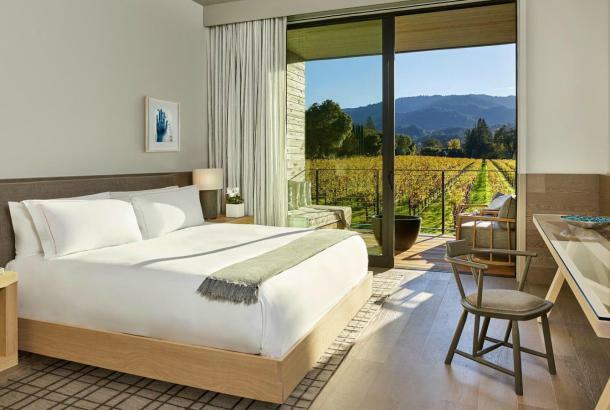 Out of town to the east, Yountville Cross Road stretches over the Napa River, which is flanked on one side by a trail that parallels the banks. The easiest way to get to this trailhead: Follow the Cross Road (and a slight jog on Yount Street) out of town from the corner of Washington and Madison. It’s a solid 4,000 steps from town just to the trailhead, and visitors can log another 3,000 steps on the one-mile loop that parallels the river. Topography here is breathtaking—ferns, coyote bush, valley and coast live oaks, and even wild grape vines. If you’re lucky, you might even spot a snowy egret or a great blue heron. Some years, ospreys have been known to nest along the river, too. To put it mildly, the Napa River Trail about as far from the rest of the Napa Valley as you can possibly get and still be in Yountville. This is what makes it so special. Matt Villano is a freelance writer, copywriter, and editor based in Healdsburg. He has covered Wine Country for 15 years. Learn more about him at whalehead.com.